Renegade X is both a singleplayer and multiplayer game. On January 28th 2012, Totem Arts released "Renegade X: Black Dawn". Black Dawn is a free, standalone, short 1-2 hour singleplayer game we have been preparing for quite some time now. Although most of Renegade X's aspirations are in the multiplayer realm, in mid-2010, we decided that a short campaign would precede our upcoming standalone multiplayer beta. Black Dawn is a demonstration of what is to come in the future. The release date of the final multiplayer version is still to be announced, and hence, we thought it would be good for you to have something to play while you wait. This demonstration is complete with a short 10-part campaign, custom cinematics and fantastic gameplay. It will be an opportunity for you to get used to all the weapons, vehicles, characters, and changes before the upcoming multiplayer release. The game is reviewed at highest settings and smallscreen 1024x768. Difficulty commando. Computer specs/requirements met. The game intro did not introduce the and was skipped as a result. The first campaign beach head was the mission. The player begins on a hovercraft prototype where none of the AI could fire any damage. After this completes the beach head to destroy large gunbase artillery. The AI was fairly easy with glitches on the screen and AI sliding. The classic music and choice of first/third person gameplay is a plus while playing-- The gameplay is retro themed and enjoyable. The gun artillery worked w/planting of the c4. The next mission in targeting an officer on tier/lookout. 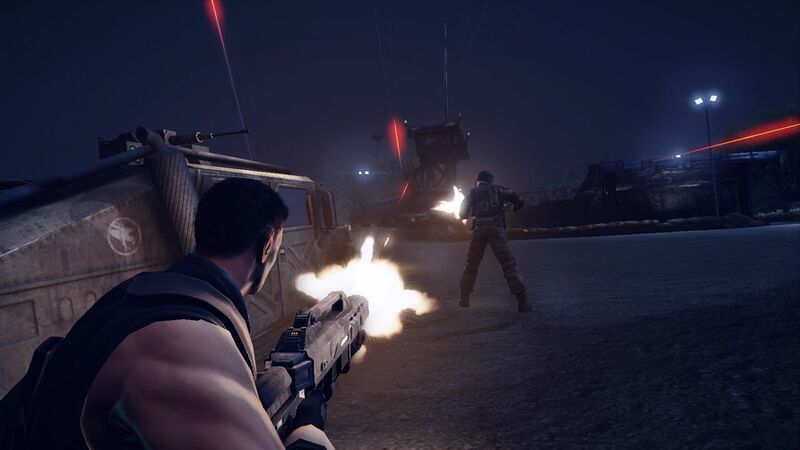 The mission stops as the player nears its target and plays a movie that mocks the game. The introduction to a player who hits a timed explosive similar to golf to end this mission? The game stops there and will not continue--an unrewarding game that does not make sense at all. The game was moving upwards and now the game is uninstalled and has left the playing list. I could only read the first few lines of this review. After that there were too many grammar mistakes for me to accept this as someone's opinion regarding the game. Please study english harder.